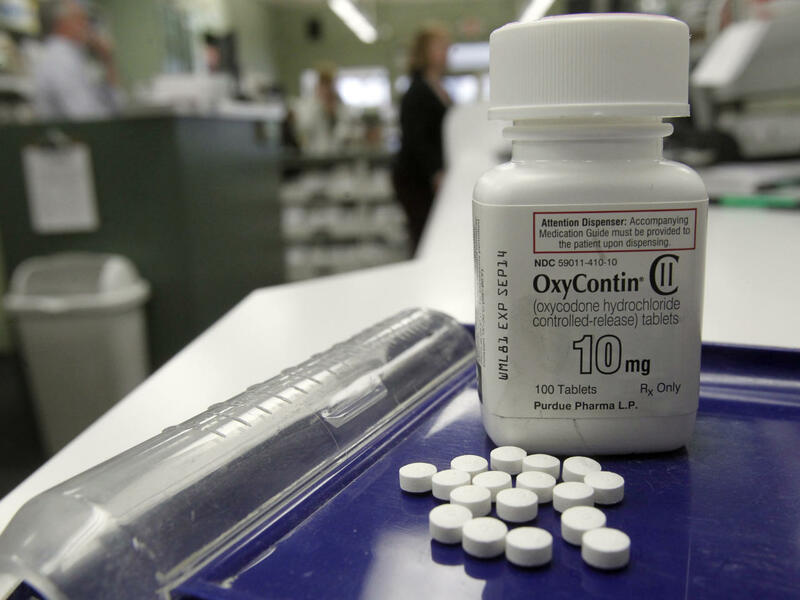 The Food and Drug Administration is reconsidering whether doctors who prescribe painkillers like OxyContin should be required to take safety training courses, according to federal documents. A panel of FDA advisers meets next week to review risk-management plans put in place nearly four years ago to reduce misuse and abuse of long-acting painkillers, powerful opioids frequently abused for their euphoric effects. Under the current risk programs, drugmakers fund voluntary training for physicians on how to safely prescribe powerful painkilling medications. However, many experts -- including a previous panel of FDA advisers -- said the measures didn't go far enough and that physician training should be mandatory. The FDA says its own findings "show mixed results that make it difficult to draw conclusions regarding the success of the program," according to briefing documents posted online. The FDA will present its findings over a two-day meeting beginning next Tuesday, then ask its panel of outside safety experts what changes should be made to improve the plans. The panel's advice is not binding. In the last year, government authorities have launched a number of steps intended to reduce painkiller deaths, including new federal prescribing guidelines for doctors from the Centers for Disease Control and Prevention and state measures that restrict and track opioid prescribing. "We're trying to chart a safer and more effective course for dealing with chronic pain," CDC Director Dr. Tom Frieden said when those guidelines were unveiled in March. "The risks of addiction and death are very well documented for these medications." In an article about the guidelines published in the New England Journal of Medicine, Frieden and co-author Dr. Debra Houry wrote: "Whereas the benefits of opioids for chronic pain remain uncertain, the risks of addiction and overdose are clear ... Nearly all the [opioid painkiller] products on the market are no less addictive than heroin." In 2012, health care providers wrote 259 million prescriptions for opioid pain medication, enough for every adult in the United States to have a bottle of pills, the CDC noted. Prescription opioid overdoses have been rising steadily for well over a decade, reaching nearly 19,000 in 2014 -- the highest number on record. Total opioid overdoses exceeded 28,600 that year when combined with heroin, which many abusers switch to after becoming hooked on painkillers. The FDA first proposed its risk-management plan in 2010, before the CDC had formally identified opioid overdoses as a national epidemic. While public health advocates urged the agency to apply the measures to all painkillers, the FDA decided to limit its action to long-acting painkillers like OxyContin and Opana, because of their high levels of drug ingredients. The risk-management measures don't apply to the most commonly-used opioids like Vicodin and Percocet. The FDA's initial ideas to improve safety included mandatory certification for doctors and a national registry to track patients taking the drugs. But industry pushed back. Drugmakers and the pain specialty groups they fund argued that certification would be too burdensome for doctors, leaving many patients undertreated. And patient groups said that registries would unfairly stigmatize those who rely on painkillers to deal with long-term pain. The FDA's final plans were ultimately much milder than its initial proposals. Patients would receive pharmacy pamphlets about the risks of opioids and drugmakers would fund optional physician training. The FDA's own panel of outside advisers rejected that proposal by a vote of 25-10, saying the steps wouldn't do enough to curb misuse and abuse. At the time, FDA officials said the risk plans were designed to address inappropriate use of the drugs, not deliberate abuse. In July 2012, the FDA put in place the risk plans, essentially unchanged. In its briefing book Friday, the FDA again notes that it actually supports requiring doctors to take training courses before renewing their prescribing registration with the Drug Enforcement Administration. Only physicians registered with the DEA can prescribe opioids. However, the FDA notes that putting this requirement in place would require action by Congress. The FDA has its own authority to require specialty training for certain drugs, but says such measures "impose significant burdens on the health care system and reduce patient access."